Behaviors are essential building blocks of how we learn to respond to anything and everything in life. Shift Your Language to a Positive Gear. Create New Possibilities. Sure, you’re all for inclusion, but where’s your mindset and what does mindset mean anyway? Is Accessibility Of Public Spaces So Impossible? Originally published on the Ruderman Family Foundation blog, Zeh Le’zeh, where it first appeared on February 27th, 2014, in honor of Jewish Disability Awareness Month 2014. As I skied down that gorgeous piste on January 27th, I wasn’t considering that I was about to make myself a living monument to Jewish Disability Awareness Month. 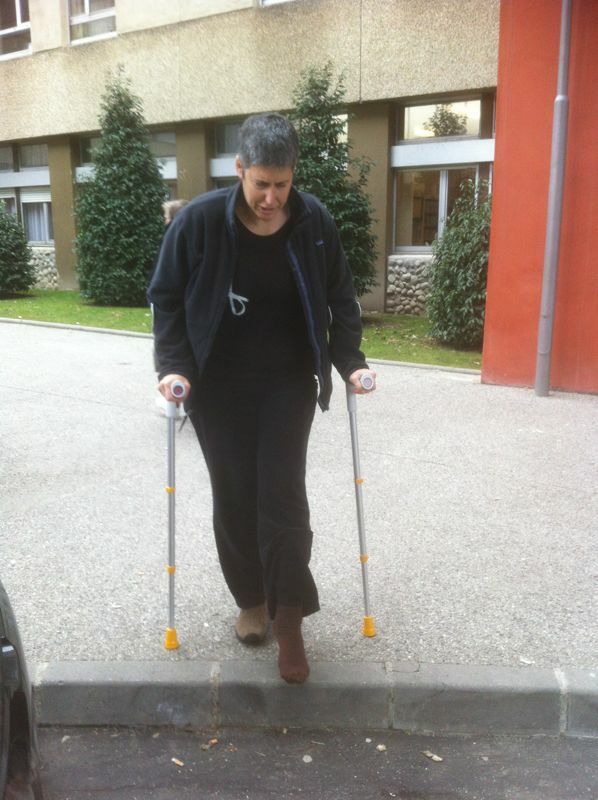 That came a few days later, after I fell, had been surgically repaired and was hobbling down the hallways on my brand new crutches in the lovely little hospital in rural Sallanche, France, in the shadow of the majestic Mont Blanc. 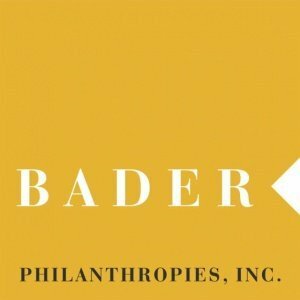 Jay Ruderman is fond of saying “everyone in their lifespan will experience disability in one way or another.” He explains further, “people with disabilities are…the one minority group that we will all join one day as we age.” Sobering. A sub-group that we are all likely to experience, whether because of illness, injury or some other aspect of the aging process. Before you go and stick your head in the sand, consider some facts about disability. People with disabilities are the largest minority group worldwide, an estimated 1 billion people. This is a number that will grow, by the way, as the world’s population grows and as medicine helps us live longer. As a matter of fact, in countries where the life expectancy is over 70 years, people may experience disability for an average of 8 years, or 11.5 percent of their life span. Compelling, no? I didn’t need to fall that day in order to understand disability. Quite frankly, as a parent to a child who walked at the age of 6, and who continues to need significant assistance navigating his life, I get what disability is about. And yet, to experience firsthand the problems of “crutching” around Jerusalem is to remind myself in a truly palpable way of the challenges that people with physical disabilities in particular experience every day, in a city that is probably one of the least accessible in the world. Yes, I know that Jerusalem was built 2000 years ago. I get that its infrastructure was not exactly designed by an urban planner and that roads that wind and climb were originally made for mules, not cars. But it’s 2014, and Israel is a country where a certain percentage of soldiers become disabled due to war and army service, separate from those who develop disabilities at different points in their lives and those born with disabilities. It’s time to step up to the plate and force compliance in Jerusalem, as well as in the rest of the country and worldwide, certainly in countries with the ability to support such efforts. Just recently I was in my favorite local sushi restaurant. On the surface it seemed accessible, that is until I asked to use the restroom, which was down a few stairs. What got left out of the architectural plans and what official signed off allowing the space to open when laws have been set into place that require handicapped accessibility? It boggles the mind. I’ll bet that almost every restaurant on Jerusalem’s popular Emek Refaim stretch lacks accessible restrooms, let alone accessible entrance ways and pathways. And that goes for one which recently underwent a lovely renovation. On my first visit, I noted that the bathroom is up a flight of stairs. I haven’t gone back. That’s not all. In Jerusalem, ramps are built at the kind of angles that nobody would want to use them without fear of hurting themselves. Walking paths are continually built from a polished Jerusalem stone that becomes slippery to the point of being downright dangerous during winter rains. And sidewalks remain the favorite place for parking one’s car – never mind pedestrians, babies in strollers, wheelchairs and yes, people on crutches. Jerusalem, of course, is not alone. For the nine years that we pushed a stroller/wheelchair in urban Brooklyn and NYC we struggled with a mass transit system that wasn’t completely accessible (especially then), as well as with uneven sidewalks and inadequate ramp cuts. I still have lingering elbow problems from maneuvering through snow, over ice, up staircases and through the crowds, in small shops so crowded and narrow I had to leave. I’ve traveled throughout Europe and wondered at the continued inability of major cities – think Rome, Paris and London – to make their cities, their public spaces, their mass transit systems completely accessible. Each one, especially when it comes to mass transit, has complicated access points for anyone dealing with any kind of significant physical disability. If you’ve ever shlepped a suitcase up and down the staircases in the London Underground you know what I’m talking about. As for me, I’m still getting a handle on this crutches thing. I’ve gone out just a bit since I got home and even the trip to my local health clinic wasn’t exactly a walk in the park, located as it is on a steep street with tough sidewalk access from the car. I’d like to get into work but I’m worried about the elevator to the 4th floor, it doesn’t always work, and the entrance into the building, not so perfectly pitched, and our flooring is a bit uneven. I have a presentation I’m making next week – hoping to find a way to get into the building safely, otherwise I won’t be able to go. Forget about my favorite locations, like the outdoor market, Machane Yehuda, and even my new coffee place around the corner, down a flight of stairs. Until I get more secure handling stairs, it’s just not worth the risk. But it’s only a couple of months. By April, I should be up on two feet, working at therapy and getting myself back to my crazy schedule of two jobs, working out a few times a week and generally running myself ragged. Because I will be able to – thankfully. What if I couldn’t? Quite frankly, I’d be considering moving out of Jerusalem. So next time you think to yourself, “We don’t have any people with disabilities in our neighborhood,” consider the possibility that they’re shut into their houses because they’re simply unable to maneuver local streets and byways safely. I say it’s time for a change. and can’t walk very well. It would be great if the roads, restrooms, restaurants, sightseeing tours, etc. can be made handicapped accessible. I would need a electric scooter to visit again. I use one here in the USA and it is a godsend. Electric scooters do exist here – I’ve seen people using them. While Jerusalem remains complicated, Tel Aviv is much better. That doesn’t mean you’ll have full access though. It’s a process and every time I see places that are compliant, I tell them how much it makes a difference. Thx for commenting! Shutaf © 2019 All Rights Reserved. שותף © 2019 כל הזכויות שמורות.